Whether you are looking for a quick sandwich, healthy salad or a cup of coffee with a delicious pastry, Highlands offers something for everyone seeking a casual bite. 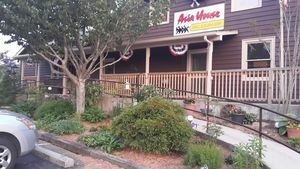 Asia House brings you an authentic Asian fusion of Chinese, Japanese, and Thai foods. With a variety of appetizers and entrees that will satisfy everyone’s taste buds. Asia House also offers a variety of sushi and sashimi prepared fresh by their own sushi chef. 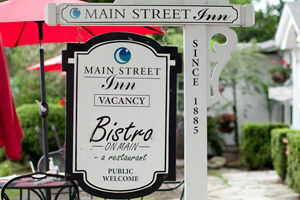 Offering freshly prepared salads, sandwiches and entrees in a lovely setting with both indoor and outdoor dining. Live music on Friday & Saturday evenings and Sunday afternoons. Quaint coffee cafe in the heart of Highlands! Local, independent coffee house featuring specialty brews, sandwiches & soups and wine. Live music on occasion. The premier destination for fine Mexican cuisine located in the beautiful mountain town of Highlands, North Carolina. El Azteca’s handcrafted menu comprises of only the freshest of ingredients handcrafted into authentic dishes that will provide the ultimate dining experience. Much more than a market, Mountain Fresh Grocery offers freshly made pizzas, sandwiches, salads, pastas, coffee, wonderful baked goods , wines, cheeses and more. Dine in at their casual tables or carry out for a delicious meal at home. In the heart of the tourist district of Highlands, The Pizza Place offers a wide selection of pizzas, calzones , sandwiches, and salads all in a casual dining atmosphere. Eat in or carry out. Brewpub; beer brewed on site with fine Carolina mountaintop water. Served on Draft at Elev. 4118. First brewery in Macon County. Unique eatery specializing in fresh sandwiches and salads, homemade soups, loaded baked potatoes and delicious desserts. Also serving breakfast!